I mentioned earlier, that for one of our New Year's goals, we were going to do the Ningxia Red Challenge, as put forth by my upline. Eric and I drank an ounce or two every day through January. We didn't really notice a difference. Until the third week. At that point, the only claim I could make was "Well, we haven't gotten sick this winter." That doesn't sound like much. But then I looked around me, at the people who Weren't drinking it, who Were getting sick. And thinking back to winters past, and remembering how often we got sick then. And I started thinking, next year, we need to start drinking in November! Well, when I mentioned to Eric that we could stop drinking daily, (it isn't exactly the cheapest beverage), he said to me, in his infinite wisdom, "It's a habit now." And that's really it. But the more I thought about it, it is pretty amazing that we haven't gotten sick in January. Especially Eric. He's been keeping terrible hours the last few weeks, not getting any kind of decent sleep. He should've gotten sick. And then me. But we haven't. Frankly, it's rather amazing we haven't. I guess he's right. We gotta keep drinking, at least through the winter. This stuff really is boosting our immune system. I've been making the greatest little daytime 'cocktail' for Eric and I. Since he gets interrupted a lot at work, and it's crunch time for a big project, thus the not sleeping, he's been working a lot from home. If he hasn't slept, I've been making him this little drinkie. It's Dynamo juice blend from Trader Joe's, a pineapple blend that is happy, peppy, and orange. 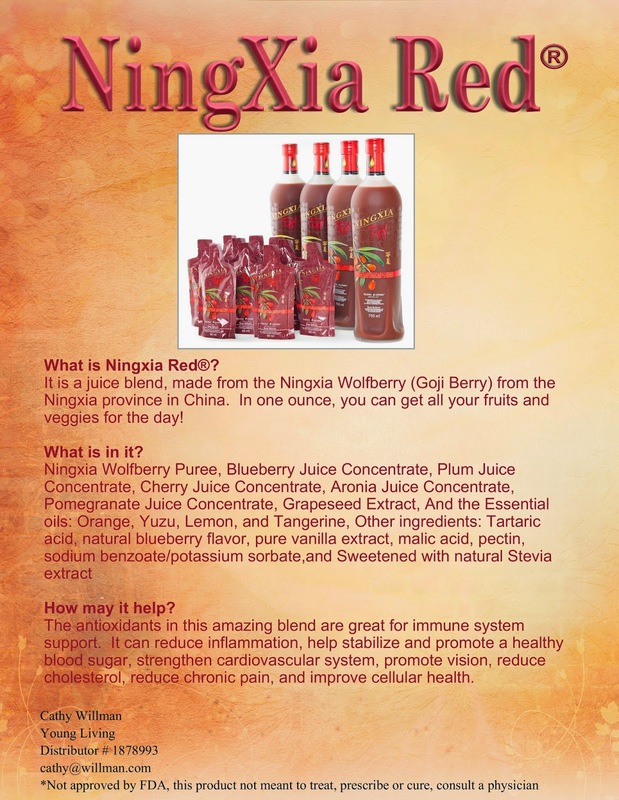 Then I spike it with an ounce of Ningxia Red. And depending on the time of day, I'll spike it with a shot of Ningxia Nitro. 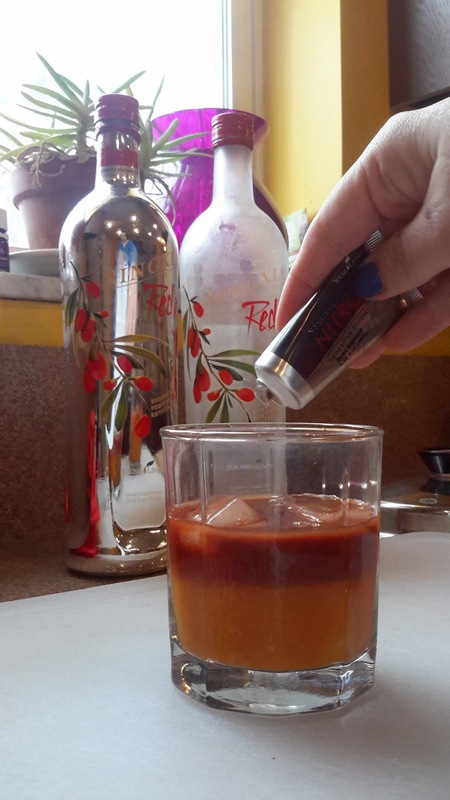 The Nitro has wolfberry puree like the Ningxia Red, but also Green Tea extract with a bit of natural caffeine. That's the punch I'm looking for. But I've learned in the last couple weeks, I can't do the Nitro, entirely on my own at 4 in the afternoon. Just like the effects of coffee. But if I split it with Eric, then we're both ok. Plus, it's a tasty beverage. I've heard folks freeze the Ningxia packets in summer, like a popsicle. I might need to try that when it's not winter anymore. This is good stuff. I'm not sick! It must be working.